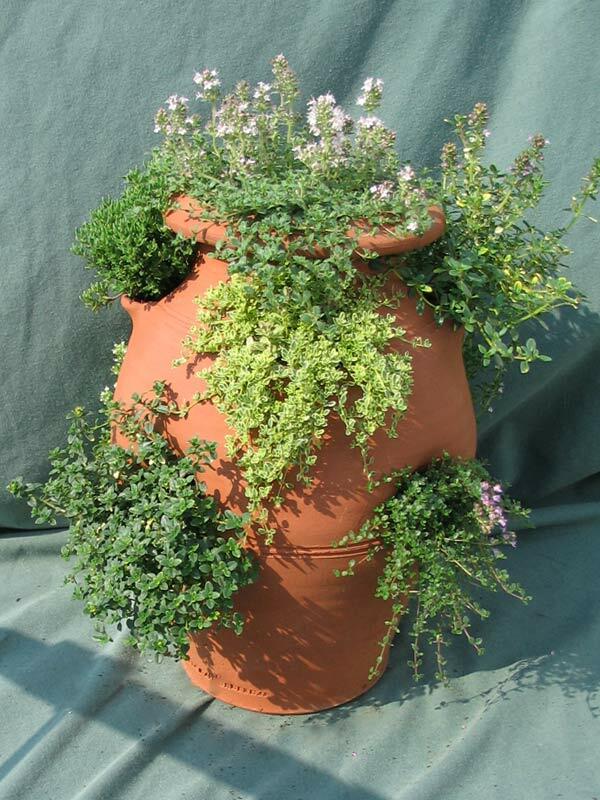 These are only available to purchase from our nursery. 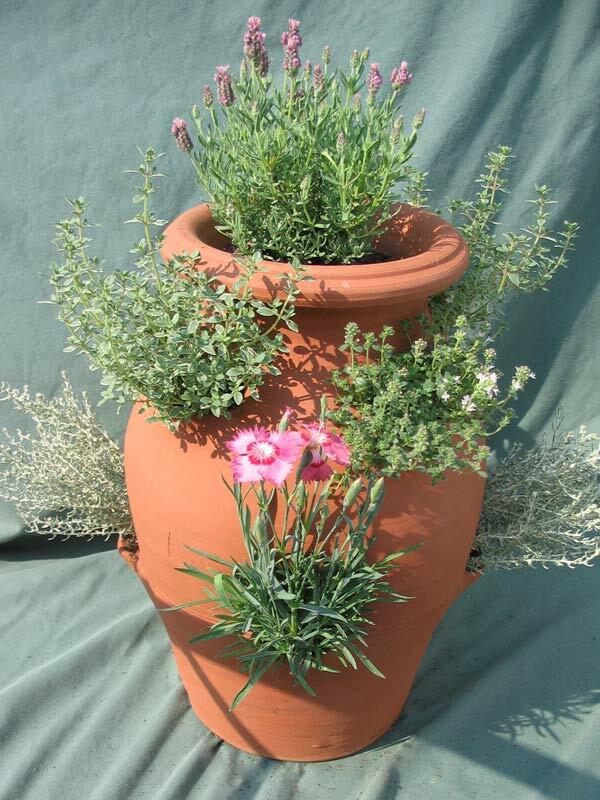 If you can’t get to our nursery, the plants can be purchased online from us and the pots, directly from the maker (see here). 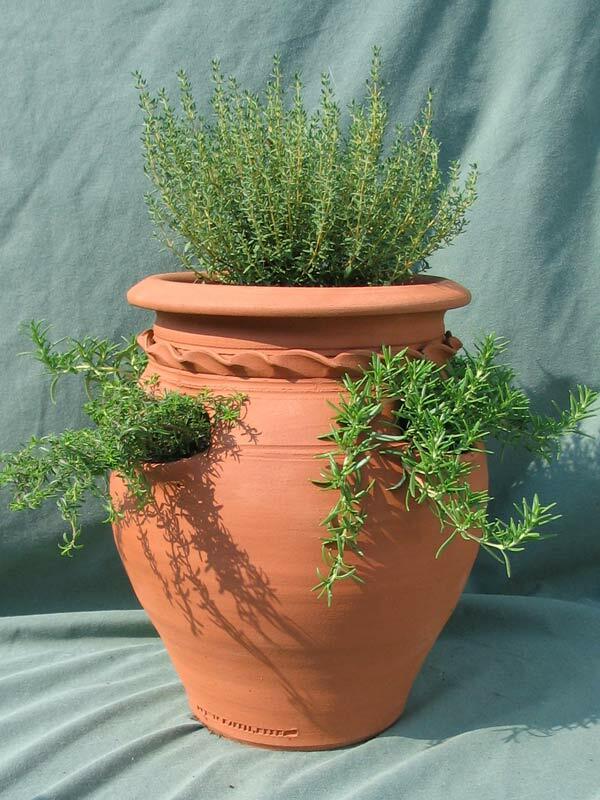 Our range of pots can be used for many different plants but we are biased and say that herbs are best suited for most! 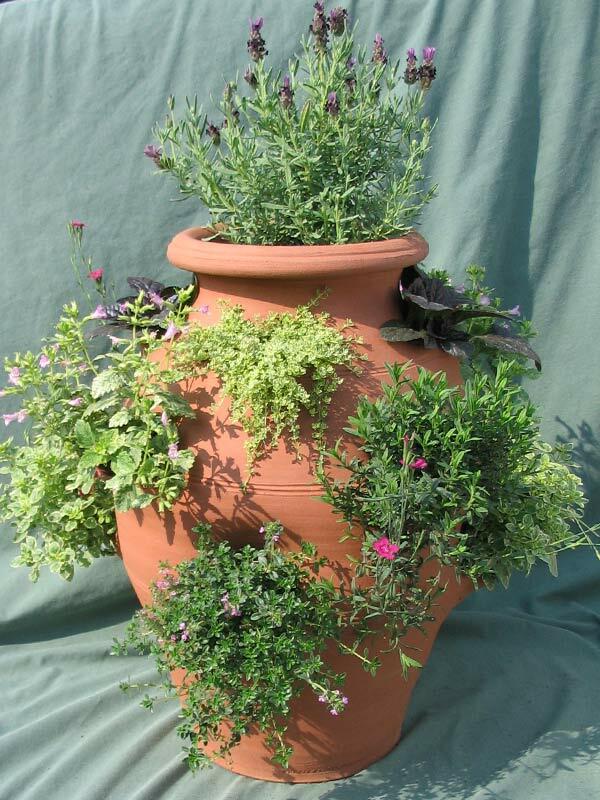 We specialise in planting pots up for any occasion or use. 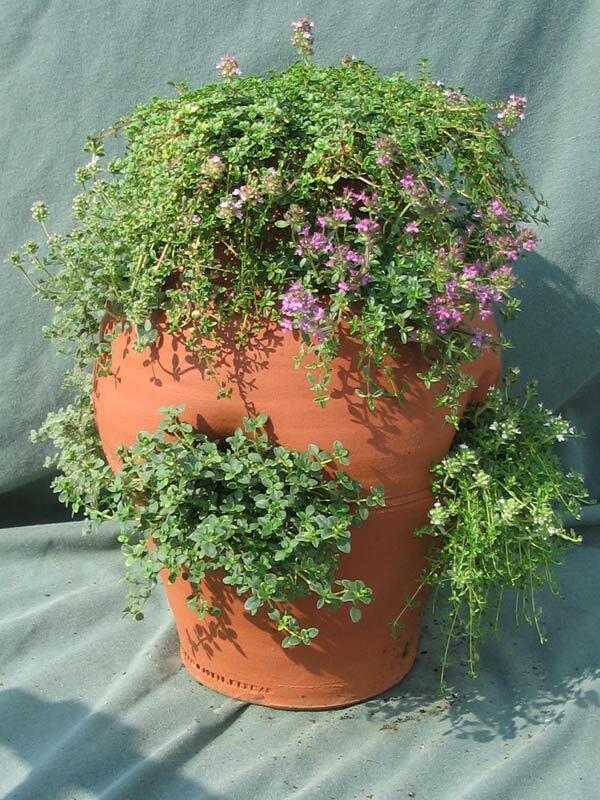 We enjoy colour matching plants for a golden wedding anniversary present, choosing pretty Creeping Thymes to attract bees or just selecting ideal culinary plants for placing by a kitchen door. 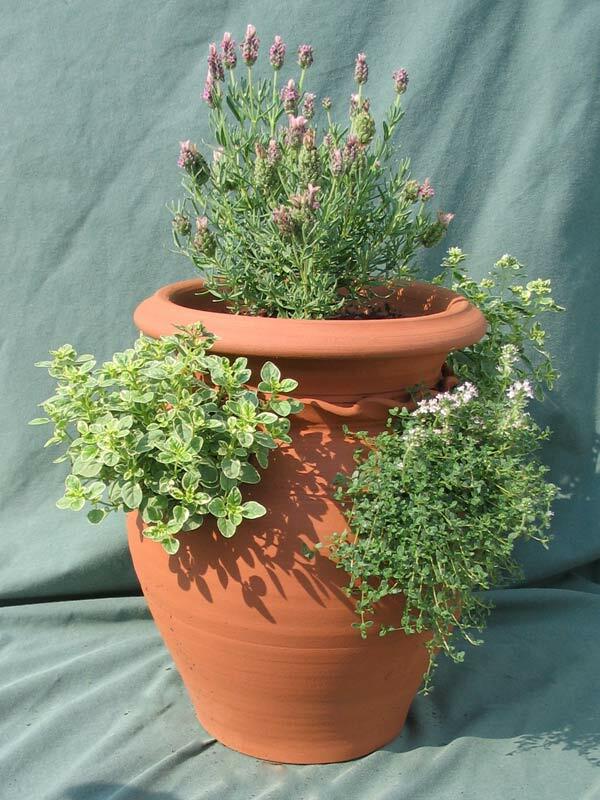 If planting yourself, see this section on our online shop that filters down varieties well suited to being planted in pots. 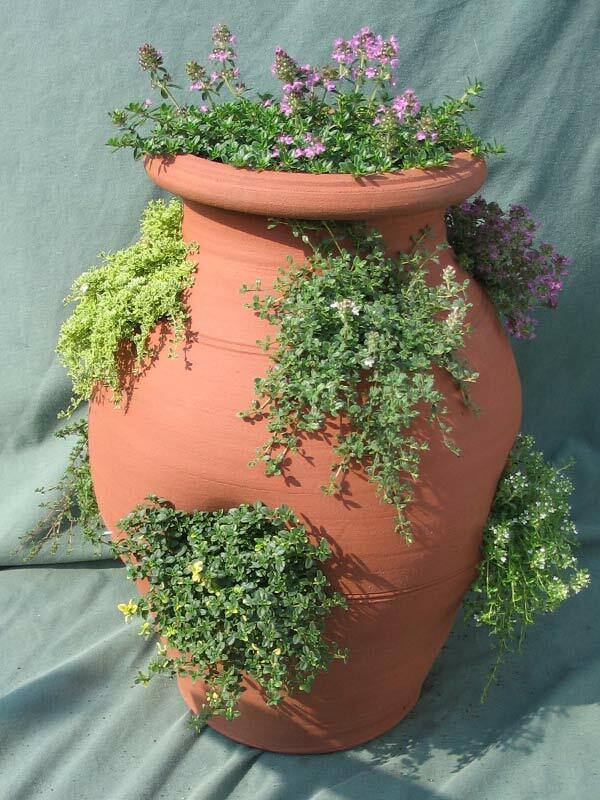 We can fill terracotta to order and although we can do this ‘while you wait’, we do like to let the pot settle for a few days before you take it home. 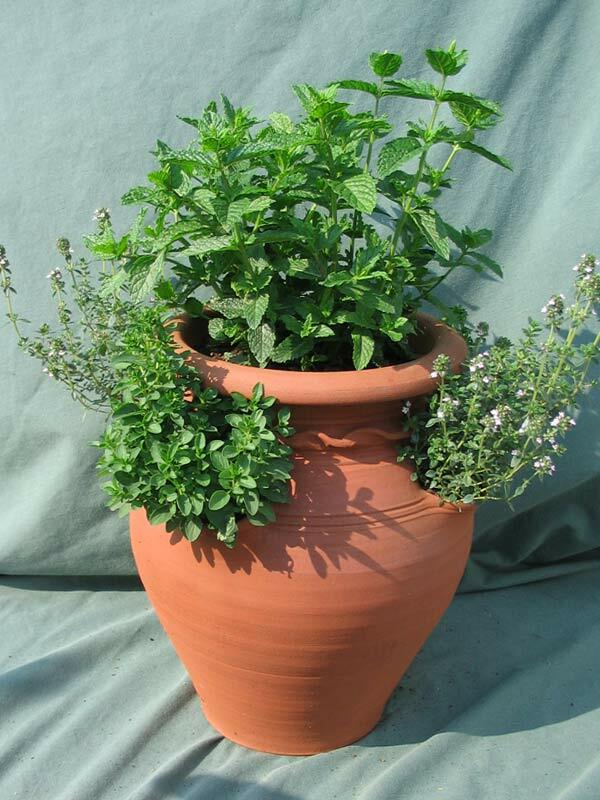 If you do the maths, you will work out that the prices are less than if you were to buy the plants and pot yourself. Why? 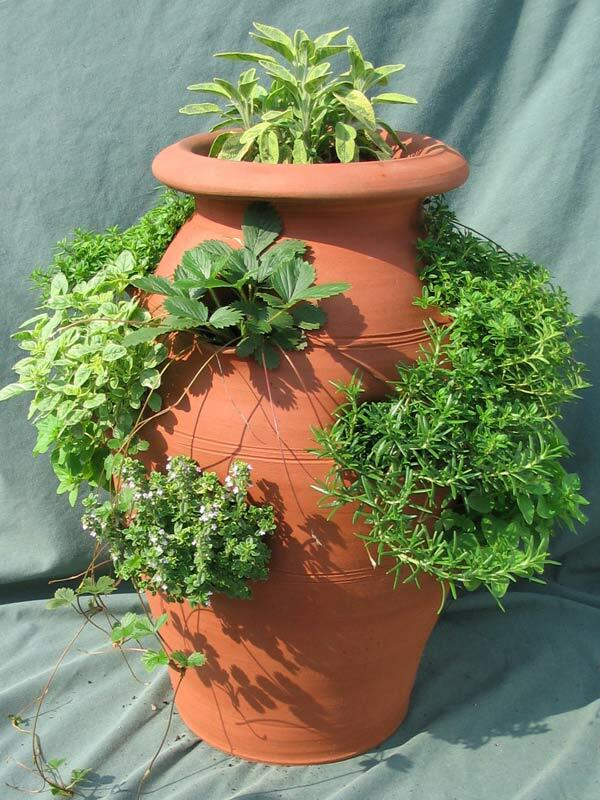 The best pots are planted using young plants without huge root balls. 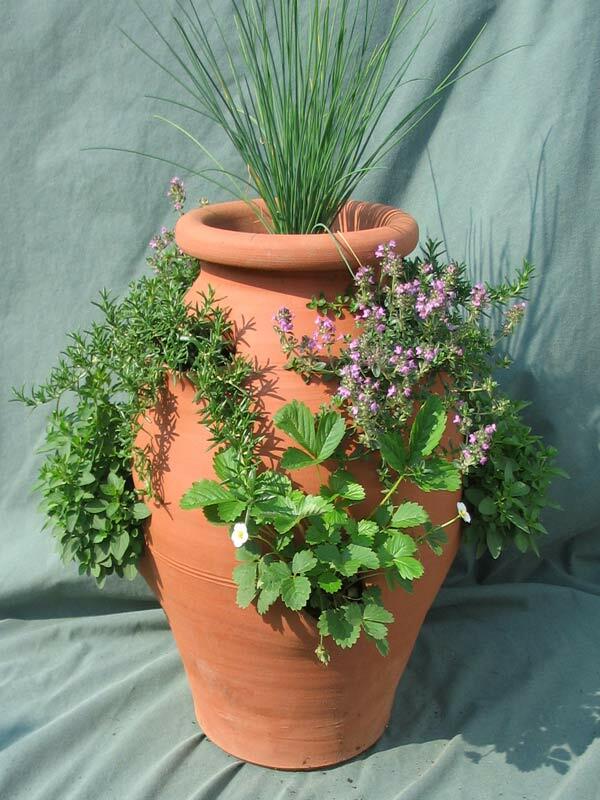 As we choose younger, less established, plants, we don’t charge as much for them! We don’t even charge for labour….! 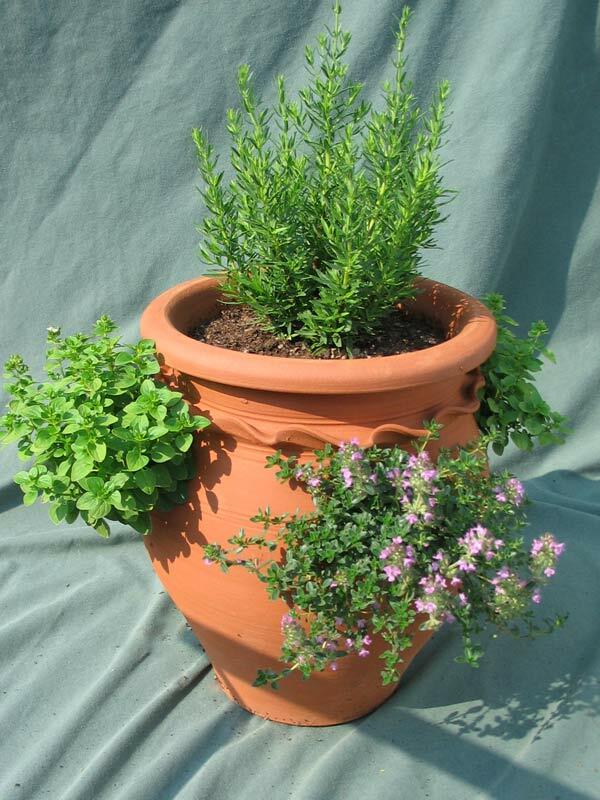 Pink French Lavender (Top), Silver Queen Thyme (x2), Thyme Pink Chintz (x2), Dwarf Curry Plant (x2) and Cheddar Pink (x2).